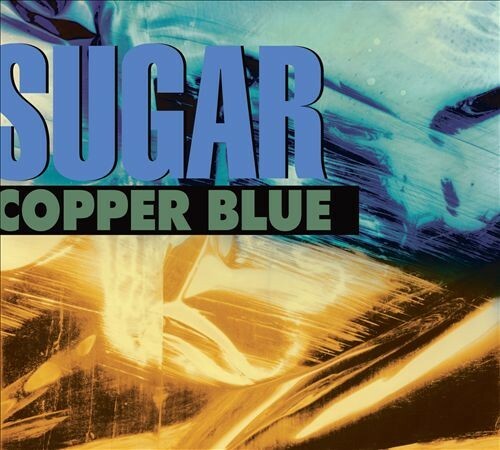 Copper Blue combined Hüsker Dü's passionate intensity with a new, steely pop resolve. It’s hard not to fall for archetypal allure of Copper Blue’s buzzing guitars and mountains of overdubbed vocal harmonies. A more aggressive, contemporary guitar attack aside, stunning power punk masterpieces like "The Act We Act," "The Slim," and "Fortune Teller" bear all of the vintage Mould musical traits. They're a wonderfully presented document of a punk legend, starting over creatively and emotionally in a brief window he helped open, and succeeding beyond his and anyone's expectations. Remastered and supplemented it has received a contemporary injection and doesn't feel out of place in today's scene with that Mould influence shining through. An album that cut through the grunge-y haze of 1992 with crisp Sixties melodies and the daring emotional clarity of songs like "The Slim." Purchasing Copper Blue [Deluxe Edition] from Amazon helps support Album of the Year. Or consider a donation?